Attorney Konrad B. Jarzyna is a graduate of The Pennsylvania State University and The University of Pittsburgh, School of Law. Born and raised in Poland, he came to the United States in 1993 and graduated from Governor Mifflin High School. Following Law School, Konrad worked as a Law Clerk for the Honorable Gerald R. Solomon, a Public Defender for The York County Public Defender s Office, and then spent six years in the private sector. Konrad is admitted to practice law in Pennsylvania and before the United States District Court of the Eastern District of Pennsylvania. He is also a member of the Pennsylvania Bar Association, Berks County Bar Association, Pennsylvania Association of Criminal Defense Lawyers and the Polish-American Heritage Association of Berks County. 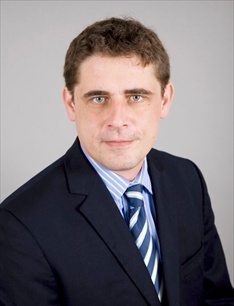 Konrad has successfully represented clients in criminal, civil litigation and family matters. His experience also encompasses appellate work, family immigration, zoning and municipal law, social security disability and unemployment claims. Other than utilizing his experience, Konrad focuses on building a strong attorney/client relationship as a key component of any successful case. He takes pride in making sure that each client is able to communicate with him on a daily basis and in his clients being well informed about the area of law applicable to their cases. Each year, Konrad coaches the Governor Mifflin Mock Trial team, which has won two county championships in the last four years. He is also an active volunteer at Kutztown University, where he has given several presentations to the student body as part of events held for Off Campus Housing, Student Orientation, and Greek Life. He has had two articles published in the Polish Daily News, Nowy Dziennik, relating to post 9/11 changes in immigration law. "Konrad helped me to win a very difficult disability case. I am not sure what I would have done without him. He is honest and truly cares about his clients. More than that, he knows the law and knows what to focus on in order to win. I would highly recommend him to anyone in need of an attorney." "Konrad is a very honest person. He will give you all side of the issues, layout all your options, and kept you well informed. After having several representatives in the past that would continue to waste my time, and loose track of pending issues, it was very refreshing to work with Konrad." "This attorney made a fool out of the plantiff. He picked up so many of the false statements made by the plantiff and made issue to his written complaint that he had to withdraw part of the case. He is fully knowledgable on the laws. I would fully recommend Konrad in any case with his credentials. He will treat you as a friend and with full honesty,"
"Konrad is very knowledgable about the criminal aspect of law. He kept me well informed of the court procedures and upcoming hearings. He was very helpful as far as negotiating a positive outcome." "I was let go from my job unexpectedly and had concerns about whether my former employer would fight unemployment benefits. (...). I got help from Mr. Jarzyna there. He was very understanding and very helpful. He knew how to handle it, and I felt a lot more confident about being able to get benefits after I met with him. (I have never applied for unemployment before or needed the services of a lawyer, so this was all new to me). I thank him very much!" "I had the unpleasant experience of being electronically stalked and harrassed by a psychopathic young man whom I did not know, but who had paranoid delusions about a person with whom we both shared an acquantence. Despite calling my local police, the calls/texts persisted. Calling the number back to warn this nut I was going to call the police led to me being charged with making a harrassing call. Mr. Jarzyna was immediately responsive to my need for his expertise, prepared thoroughly, was clear about all my options, and negotiated a settlement that was acceptable to all. I would not hesitate to use him again (though one experience like this in a lifetime is enough)." "This is a lawyer that cares about the people he helps,he will go the extra mile for his clients. He understands your concerns and stress related with going to court.Konrad has answered emails @ 9:00pm at night,just so I might sleep without stressing all night,I do not know of any other lawyer that would do that. Konrad helped me in my custody case and did a super job,he is a father himself and really cares and that shows in the way he helps his clients. Bottom line if you need a lawyer you,get Konrad ! You will be glad you did." "I was truly blessed when I found Konrad. Over the past year he has been my rock. My husband became ill with pancreatic cancer July of last year. We were devastated. During this time Konrad was there for me. His compassion was amazing. Not only did he handle all of the legal issues we were dealing with at that time but he cared about what we were going through. He is down to earth and very easy to talk to. My husband passed away in March of this year. I could not have gotten through that nightmare without KJ. I cannot thank him enough. " "In my opinion, Konrad is the best attorney around. He is unbelievably honest, trustworthy and reliable. I especially like the fact he is very down to earth. He talks to you like a person, not like most stuff shirt attorneys. I highly recommend Konrad to anyone who needs an attorney they can trust. " "Konrad is an excellent lawyer who not only is very knowledgable about law, but has a genuine care for his clients. I have used Konrads services on multilpe occasions, and for a variety of cases. In all occasions we got the outcome we are looking for. In my eyes Konrad is a life saver. "